This Mary Poppins Dooney and Bourke Bag is just the thing we need in our lives right now to put a smile on our faces. While we’re not quite sure that it could fit a lamp or a mirror the way the real Mary Poppins Carpetbag does, we’re pretty sure this Dooney Satchel can handle whatever you need to stuff in it today. We’ve got more of our Favorite Disney Handbags in our Gift Guide, so make sure to check that out, too! Oh I love this! 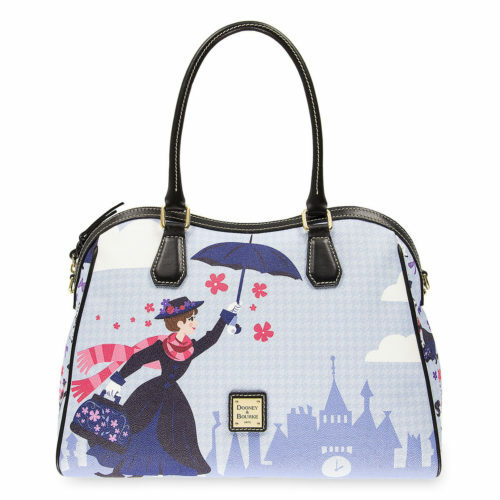 I’m really enjoying the new designs that Disney and Dooney have put out recently.